Are users able to change their passwords? Yes. 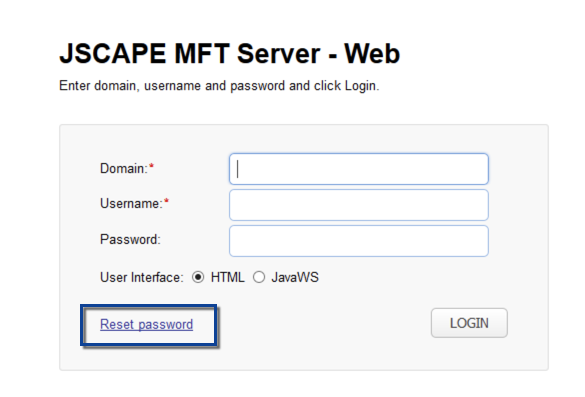 Provided that the "Allow password change" flag is enabled for the user, password changes can be accomplished using either the FTP/S protocols or the HTTP/S protocols. When using FTP/S users can change the password using the SITE PSWD command. Please check if your FTP/S client supports this command. Please note that changing passwords only works when you are using "Domain User Authentication" and not other forms of authentication such as "Database User Authentication" or "LDAP User Authentication" where the password is stored in a separate repository.